Thriving in today’s $3.2 trillion health sector requires strategic agility as health care and pharmaceuticals leaders embrace innovation and patient-centered care in a time of dramatic shifts. Both pharma and health care organizations need to define new models and cultivate a performance-driven culture, in an environment that expects improved quality of care and access. Wharton’s customized health care and pharmaceuticals programs provide your executive leadership teams with the latest strategies and business acumen to enhance decision making throughout your business, giving your organization a distinct competitive advantage so you can achieve better outcomes. Your executives will gain valuable business insight into new opportunities, while mastering the strategic thinking and plan-execution skills necessary to succeed in the pharma and health care arena. 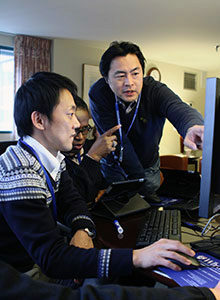 The distinguished faculty at Wharton has deep industry experience in health care and engages with clients across the value chain in every health care sector. Wharton’s health care custom team includes experts in hospital management, corporate human resources and learning, payors, and more. Our collaborative approach drives results because of our dedication to your individual objectives and in-depth understanding of the markets you serve. Regardless of whether you are a pharma or health care organization, the challenges you face are unique. From launching a global drug to transforming your hospital into a performance-driven culture, Wharton can create a customized program to reflect your competitive issues in today’s complicated health care landscape. 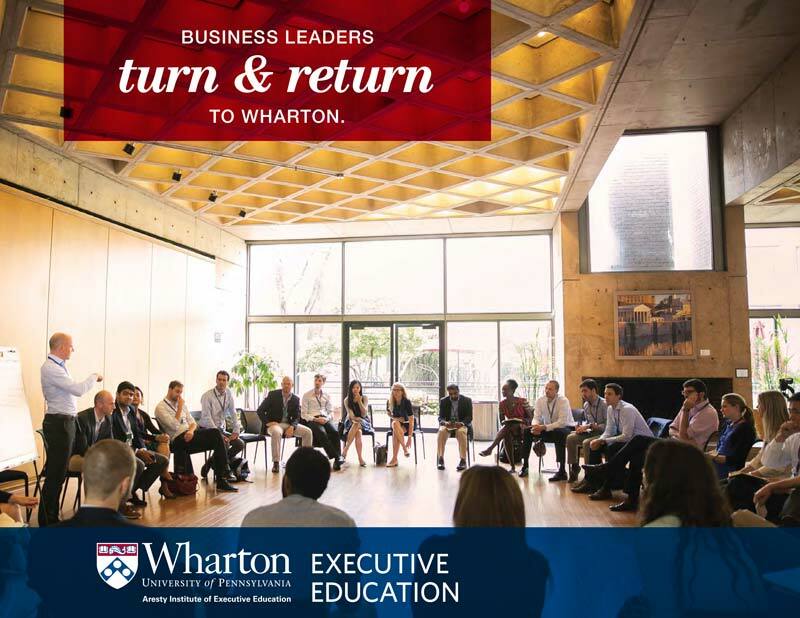 Wharton provides your team with the insight and implementation skills to take your organization to the next level. In addition to providing you with a competitive advantage, your Wharton partners will serve as trusted advisors long term. Royal DSM, a global life-sciences and materials-sciences company, sought to balance growth and sustainability. DSM called on Wharton Executive Education to create a custom leadership-development program that would foster sustainable innovation, cultivate talent, increase retention, and grow sales. A global pharmaceutical firm looked to Wharton Executive Education for a strategic consultation on the ways it had implemented patient-centered care. Wharton evaluated the firm’s successes, analyzed the link between financial performance and operations, and convened a group of experts from related industries to present to the firm’s top management. A question arose: was the company truly implementing its vision, or did the senior management team disagree about what “patient-centric strategy” really means? Working with Wharton faculty, the firm got its managers united about the new strategy and decided to create a new role, chief patient officer, to ensure that patient-centered care remained at the core of the firm’s operations.